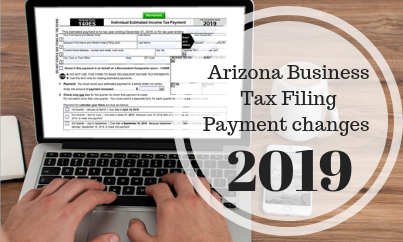 As a business owner in Arizona, you should know that new rules regarding electronic filing and tax payment are in effect as of January 1, 2019. The Arizona Department of Revenue (ADOR) now requires you to file and pay electronically beginning in February 2019 (for the January reporting period) if your business has an annual transaction privilege tax (TPT) and tax use liability of $10,000 or more during the previous calendar year. Electronic filing can also save you money directly because it makes your business eligible to receive a tax reduction of up to $2,000 annually through the enhanced accounting credit. If you file your TPT electronically you can increase your accounting credit from 1% to 1.2% annually, to a maximum of $12,000. Ask the business tax preparation experts at Sean Core CPA about it! If you are required to file an electronic turn but you file a paper return, you will be subject to a penalty of 5% of the tax amount due with a minimum penalty of $25, including filings with zero liability. If you are required to pay electronically but you make your payment by check or cash, you will be subject to a penalty of 5% of the payment made. Also new this year; all late filing penalties are now a minimum of $25, including filings with zero liability. Don’t let these business tax e-filing and payment changes cost you money! At Sean Core CPA, we help people and businesses in Chandler, Mesa, Scottsdale, Tempe and across Arizona keep current with state and national taxation changes. For getting more help with the transaction privilege tax, including TPT filing and payment requirements, or other tax needs, please give us a call today at 480 626-5043 or contact us online.